A cube has 24 orientations. By rolling the cube on its edge within the perimeter of a $2\times4$ rectangle 3 times, all 24 orientations are reached and the next roll returns the cube to both the starting position and starting orientation. 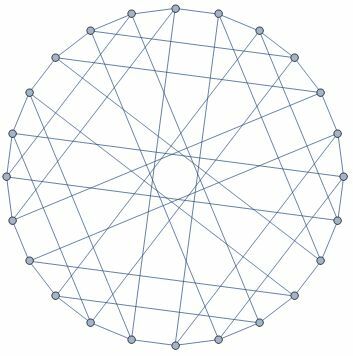 I've called the 24-node graph the "rolling cube graph". It's the bipartite double graph of the cuboctahedral graph. A rolling icosahedron has 120 orientations. The top face can point up or down in each of 60 orientations. What is the smallest triangular grid for which a rolling icosahedron can roll through a complete Hamiltonian cycle of all 120 orientations? What are the properties of the 120-vertex cubic graph? Similar question for the other 7 deltahedra. What is the smallest triangular grid allowing a complete cycle of all orientations? For other polyhedra that can be rolled through all possible orientations on a simple 2D grid of polygons, what is the smallest grid that supports a Hamiltonian cycle? 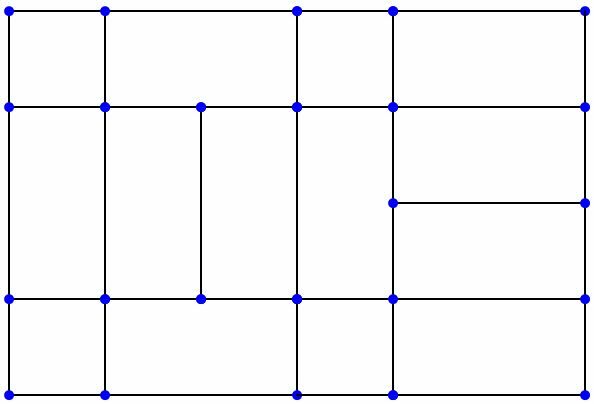 For the 1x1x2 cuboid, here's a grid that allows a Hamiltonian path through all 24 orientations. Is there a grid with fewer cells? I solved the icosahedron. There are two nice closed curves that will put a rolling icosahedron through all 120 orientations if the curves are repeated 5 times. The outside edges of the graph are the Hamiltonian cycle. Orientations are connected by rolling on one of the three bottom edges of the icosahedron. The rolling icosahedron graph is equivalent to the Foster120B cubic symmetric graph. 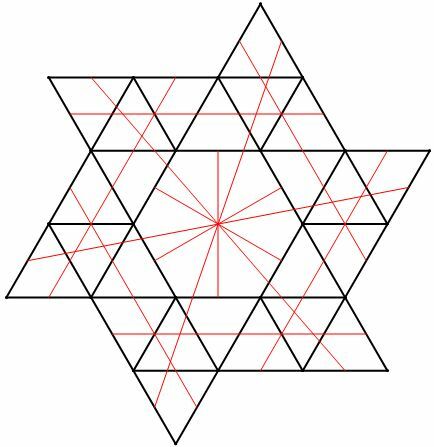 The octahedron gives the Nauru graph. The tetrahedron gives the cubical graph. Not the answer you're looking for? Browse other questions tagged group-theory graph-theory recreational-mathematics polyhedra tiling or ask your own question. Show that if $n\geq 3$, the complete graph on $n$ vertices $K_n$ contains a Hamiltonian cycle. Hamiltonian cubic graphs contain at least three hamilton cycles. How many Hamiltonian cycles are there in a complete graph if we discount the cycle's orientation or starting point?